Just so it's clear: I'm talking about that W from wp, the clock icon beside "Wheel of Commerce" and the "Shareaholic" too. I also would like to switch the places at which you see "My Stores" and "Wheel of Commerce" -so the "Wheel of Commerce" will be placed at the left corner, where "My Stores" currently is at. If you need it, my login credentials have been sent with Adam's name 2-3 weeks ago -that's the only way you can access my site as admin. As for moving the shareaholic positoning, that would require customizing the plugin code or a custom function to re-position the menu item. You may want to consider hiring a developer. Especially considering how many custom issues you have, I think having a developer would really benefit you! 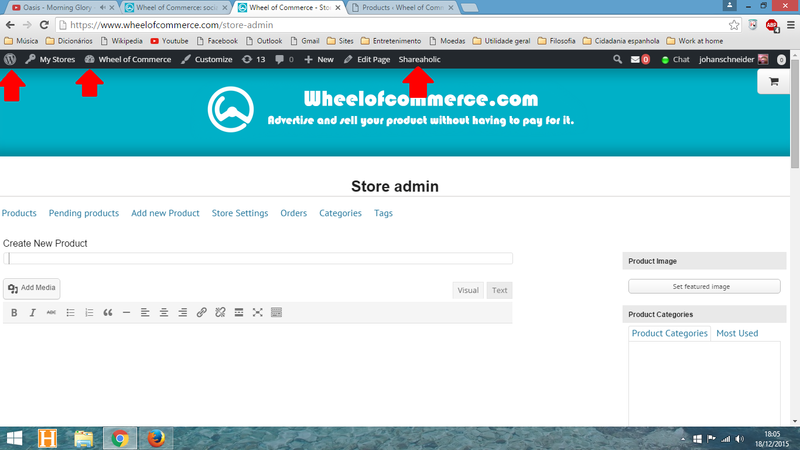 I also would like to switch the places at which you see "My Stores" and "Wheel of Commerce" -so the "Wheel of Commerce" will be placed at the left corner, where "My Stores" currently is at. I just logged in and looks like you already have that sorted out :slight_smile: I see the "Wheel of Commerce" is now in the left corner. Awesome.